One of the most beautiful aspects of being a child of God, is that in addition to being reborn into a new life, we are also reborn into a new family. 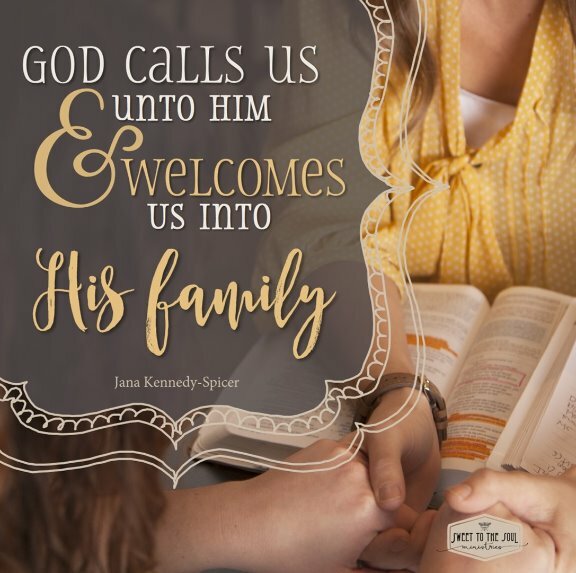 ​God calls us unto Him and welcomes us into His family. If you are a member of a close family which loves and supports each other, the idea of becoming a member of God's glorious family, is probably very exciting. ​However, if your family life has not been so loving, or even hurtful, it may be difficult to envision being a member of a loving and supportive family. But with God, there is hope. To dive deeper into God's Word and these 7 scriptures, I've also put together this #SoulDeep Mini-Series Scripture Journal. 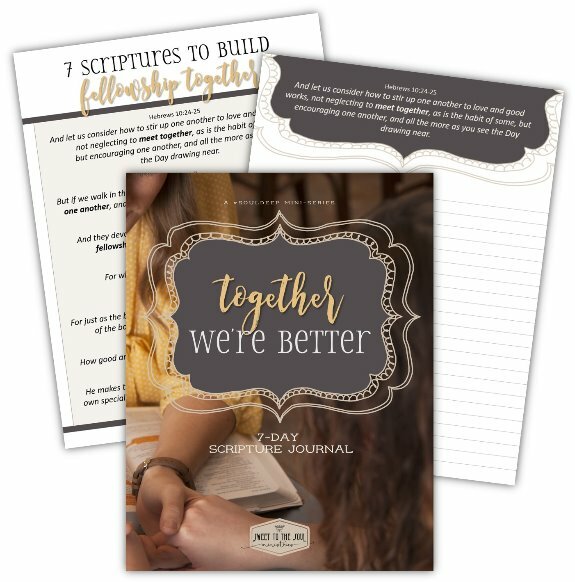 Follow the link above to download your free 7-Day #TogetherWereBetter #SoulDeep Scripture Journal and join us each day this week on our Facebook Page ​and on Instagram as we study these seven scriptures to build fellowship... together. Visit here for more information about How to Use your Soul Deep 7-Day Mini-Series Scripture Journal. Join the conversation below and share with us some ways you enjoy fellowshipping together with God's family. Love these thoughts on fellowship and am so thankful for the lovely women of my church with whom I am doing a summer book club! I think this may be my first visit to your beautiful writing home. Hi Michele, so glad you dropped by today! Oh I love book clubs and Bible Studies with the ladies at church, it is always such wonderful fellowship time. So thankful that you have a beautiful supportive group of friends as well. Thanks for visiting and I hope you come back soon! Thanks for sharing Cyndee! I'd love to hear how your ladies use the resource ... and how it can be improved. I love providing these types of study resources. Sometimes we just need a little something to get us going. Thanks again for sharing and for all of your support!